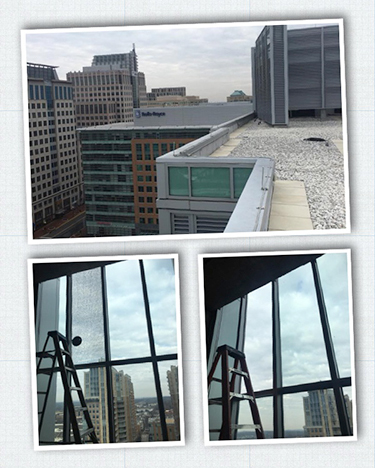 Reston Glass is your local premier provider of glass supplies and services in Northern Virginia. We are the areas commercial glass expert. 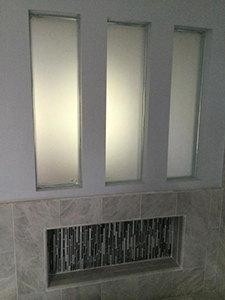 Be it shelving, windows, doors, replacement glass, or any type of glass need. Call to schedule an estimate with our professional installers. Our level of service remains consistently high whether you are purchasing a glass coffee table top, shower door, storefront or performing a full window installation for your project. From top quality materials to a crew of trained professionals who take pride in their work, it all adds up to the kind of service and expertise that you should expect. Our customers have learned to depend on not only the quality of Reston Glass’ products and services, but also on the advice that comes along with it. We are committed to prompt commercial glass repair and replacement services including storefront installations (new construction and renovation) and door repair. We do everything possible to win your trust and keep it. It’s that important to us. After all, our name depends on it. Whether it’s clear, tinted, insulated, laminated, mirrored, tempered, beveled, bullet-resistant, or even fire-proof, we have it, or can get it.